The Immortal Life of Henrietta Lacks, by Rebecca Skloot. Random House, 2010. The ubiquitous cell line HeLa (whose immortality provides the book title) has helped power the explosive growth of cell biology over the past 50 years. But for all that is known about the cells themselves, most people know little about their original source. Skloot explores that origin and the subsequent confusion over these cervical cancer cells’ history. 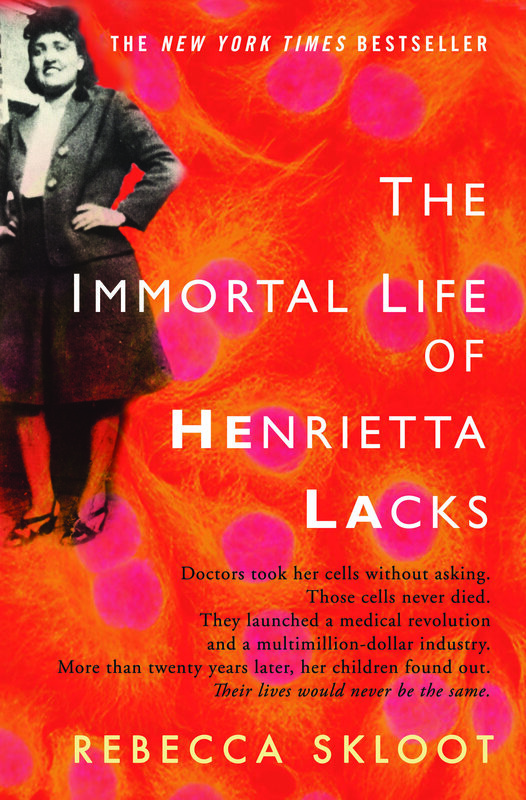 She eloquently interweaves stories of the cells and researchers, the life of Henrietta Lacks (from whom the cells were cultured), and the response of Lacks’s family to her investigation. Carefully crafted, her rich and balanced narrative reminds us to not lose sight of the source of biological research materials. Interestingly, the author does so without passing judgment on the families’ reactions (some of Lacks’s relatives believe they should be paid for the gains made from the contribution she unknowingly made) or the researchers (some of whom could be said to have been dismissive of Lacks in their treatments of her and her cells). Skloot recognizes that research standards have changed over time and we have progressed in our treatment of patients. But the tale that she so superbly tells provides anyone interested in biomedical science a timeless and necessary reminder of the humanity shared by the afflicted and the researchers who work to understand and overcome diseases. Rebecca Skloot is an award-winning science writer whose articles have appeared in The New York Times Magazine; O, The Oprah Magazine; Discover; and others. She has worked as a correspondent for NPR’s Radiolab and PBS’s NOVA scienceNOW, and is a contributing editor at Popular Science magazine and guest editor of The Best American Science Writing 2011. She is a former Vice President of the National Book Critics Circle and has taught creative nonfiction and science journalism at the University of Memphis, the University of Pittsburgh, and New York University. Her debut book, The Immortal Life of Henrietta Lacks, took more than ten years to research and write, and became an instant New York Times bestseller. It won the Chicago Tribune Heartland Prize and the Wellcome Trust Book Prize, and was named The Best Book of 2010 by Amazon.com, and a Best Book of the Year by Entertainment Weekly; O, The Oprah Magazine; The New York Times; US News & World Report; and numerous others. It is being translated into more than twenty languages, and adapted into a young adult book, and an HBO film produced by Oprah Winfrey and Alan Ball. For more information, visit RebeccaSkloot.com, where you will find links to follow her on Twitter and Facebook.